Soldier, explorer and archaeologist, Charles Warren was born in Bangor and educated at Sandhurst. 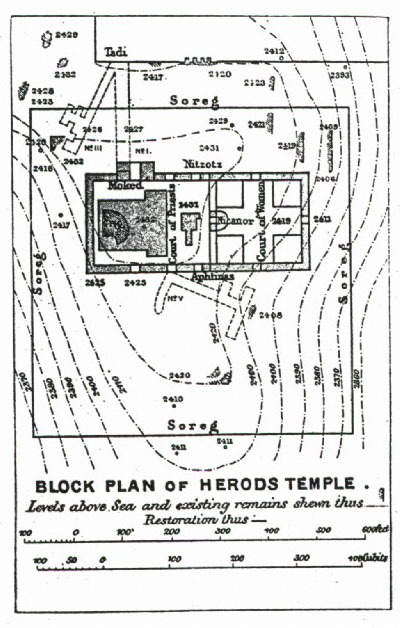 As an agent of the Palestine Exploration Fund in 1867, he surveyed Herods Temple and conducted excavations in Jerusalem, recording his discoveries in two books: The Temple or the Tomb and Under Jerusalem. Warren was elected Founding Master of Quatuor Coronati Lodge No. 2076, in 1884. The lodge warrant was granted on November 28, 1884 but, due to Warrens departure to Buchuana, Africa, the lodge did not meet until after his return at the end of 1885. He was installed at the first regular meeting on January 12, 1886, when the lodge was consecrated. 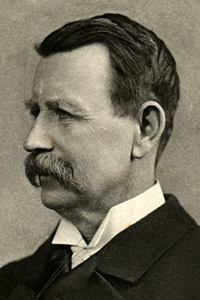 Warren attended three of the seven meetings called during his almost three year term of office, his last being March 1887 when he read a paper on the orientation of temples. A.F.A. Woodford opened the lodge in September 1887 when Robert Freke Gould was elected Master. Sir Charles was London Metropolitan Police Commissioner from March 1886 to November 7, 1888. He resigned in conflict with the Home Secretary, Henry Mathews, earlier on the day that Mary Jane (Anne) Kelly, the last Whitechapel murder victim ascribed to Jack the Ripper, was found killed. Source: AQC vol. xl (1927), pp. 43-4; Lodge of St. George No. 1152 EC, Singapore, records; Also see London Metropolitan Police.